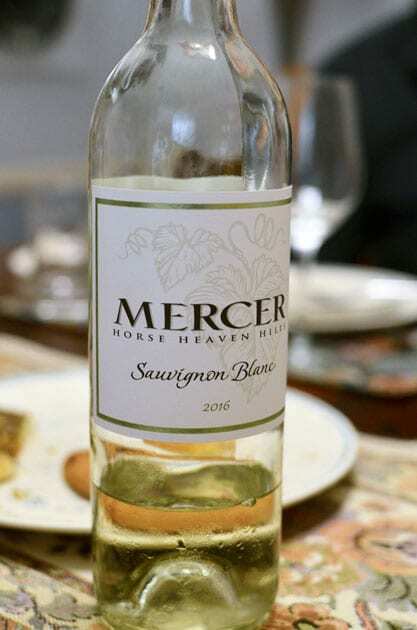 Family traditions are what Mercer Wine Estate located in the Horse Heaven Hills AVA of Washington State is all about. This being my second year sampling Mercer wine, I am very impressed especially with the consistency of the wines between vintages. The Mercer family were one of the first families to establish roots in the Horse Heaven Hills region back in the 1800s. The family began by herding sheep and cattle, eventually moved to growing wheat and other vegetables. It was not until 1972 that grapes were planted on the family’s estate. The Sharp Sisters. Photo Courtesy of Mercer Wine Estates. These family traditions even permeate the story behind some of the wines they produce. The best example is Sharp Sisters Red Blend. This wine pays tribute to the Sharp sisters, who grew up in Prosser, Washington. One of the sisters, Carma married a Mercer and is the grandmother to many of the Mercers, who currently work at the winery. 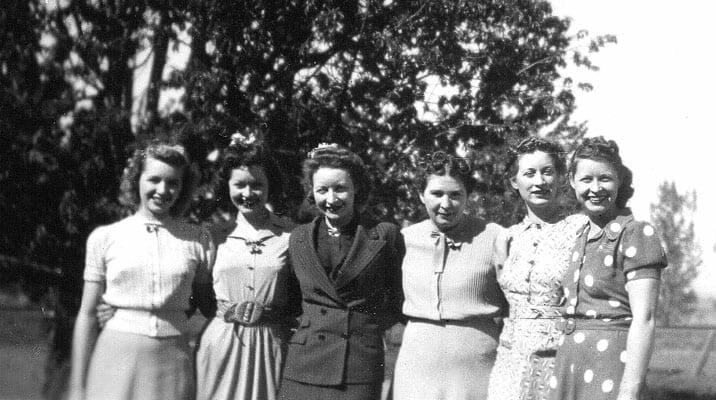 The five sisters were a fun and witty close-knit group of women. yet very loving towards one another. As adults each went their separate ways, moving to different parts of the United States. They continued to stay close through family reunions. At these gatherings, it was the family tradition to write letters, poems or songs to one another. They would also bring something to add to the “stew”, which was prepared over a campfire every year. Hence the Sharp Sisters Red Blend represents the sisters and the red blend signifies the “stew” they created at each family reunion. Carma Sharp Mercer’s legacy also lives on the Mercer Estates wine club called Carma Club. 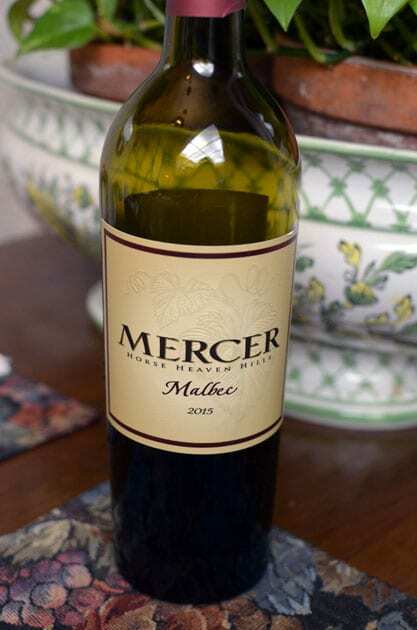 This year I sampled three wines from Mercer Wine Estate. 2016 Sauvignon Blanc, Horse Heaven Hills delivers grassy and grapefruit aromas as well. I consider the wine a mellow and subtle Sauvignon Blanc with flavors of citrus. Nicely balanced, we sipped the wine over a 2-day period. I found the wine even more enjoyable on the 2nd day. 2015 Sharp Sister Red Blend, Horse Heaven Hills combines Cabernet Sauvignon, Syrah, Merlot, Petit Verdot, Grenache and Carignane into a smooth and balanced wine with flavors of bright cherry, blackberry, plum and sweet vanilla. In my opinion, the sweetness in the wine comes from the Grenache, while the Merlot gives the wine its softness. Finally, the Cabernet Sauvignon brings forth an earthy quality. Created in a New World style the wine is fruit forward. A very drinkable wine, aging in both French and American oak and I think my favorite of the three wines I sampled from Mercer Estate. 2015 Malbec, Horse Heaven Hills is a rich and velvety wine with aromas of blackberry and tobacco and flavors of blackberry with hints of vanilla. This is a smooth wine that is fruit forward. 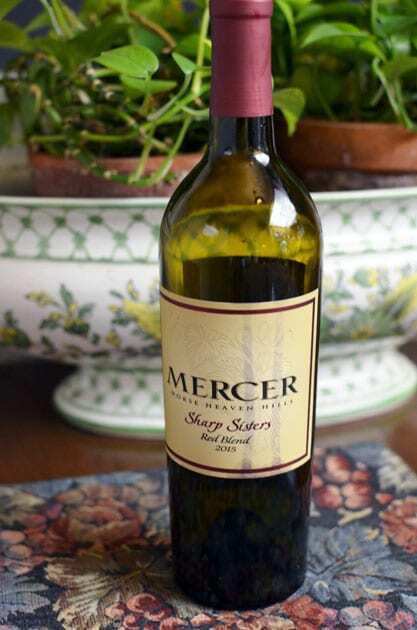 The fruit from this wine comes from the Mercer’s Spice Cabinet Vineyard. Note: Photo credit for the featured image above is courtesy of Mercer Wine Estate. It pictures Mercer Estataes in the Horse Heaven Hills. Common to the wine industry, the writer is often treated to bottles of wine. While it plays no influence on this review, the writer believes in full disclosure.